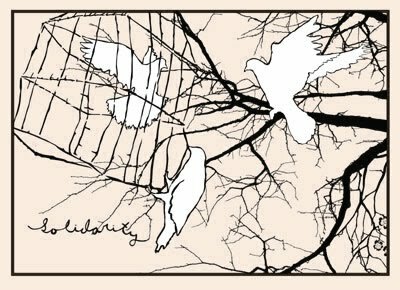 SubRosa - a community space: Letter Writing to Prisoners/ HUFF/ Open Hours & More! 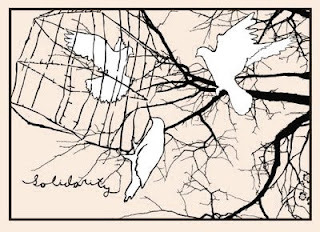 Letter Writing to Prisoners/ HUFF/ Open Hours & More! In the next couple of days at SubRosa! and as SubRosa is many things, including a place to share information and news, here is a bit about two folks that need support right now. from http://supportnicoleandjoseph.com/ "On July 24th, 2015, Nicole Kissane and Joseph Buddenburg were arrested and federally indicted for alleged Conspiracy to Violate the Animal Enterprise Terrorism Act—Title 18, U.S.C., Section 43 (a) (1), (2) (c) and (b) (3) (A). A federal grand jury indictment alleges that Nicole and Joseph conspired to "travel in interstate and foreign commerce for the purpose of causing physical disruption to the functioning of animal enterprises, to intentionally damage and cause the loss of real and personal property, including, but not limited to, animals and records used by the animal enterprises, and caused economic damage in an amount exceeding $100, 000″ by allegedly releasing thousands of animals from fur farms and destroying breeding records in Idaho, Iowa, Minnesota, Montana, Wisconsin, and Pennsylvania. The indictment also alleges that they caused economic damage to various retail and distribution businesses and individuals associated with the fur industry." also from http://supportnicoleandjoseph.com/ "Please contribute to Nicole and Joseph's general support fund while they are under indictment. Your solidarity is essential in making sure that Nicole and Joseph have strong support and the reassurance that they have a community to take care of them through this case."